Camp Starts At The Bus Stop Each Morning! Riding the bus to camp is part of the Kids Quest experience. Your child's day will begin by being greeted by our camp bus monitors who work at camp each day as one of the camp counselors. The safety and security of your child is the first priority of our camp bus service. 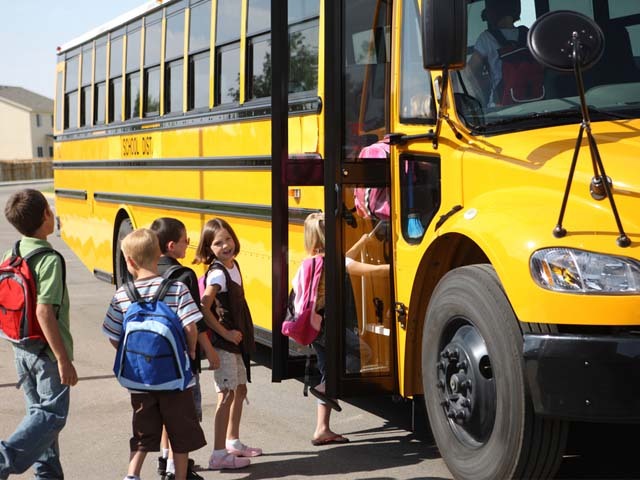 Each morning you will need to sign-in your child with our bus monitors and sign-out your child in the evening. The same bus monitor rides the bus to and from camp daily. All of the bus monitors have attended our camp training and safety procedures. Bus monitors carry a cell phone with them daily. The children on each bus route build a personal connection with their bus monitor and other campers through singing, cheers and bus games.